There are a million different ways to read Tarot Cards, but this is my favorite! In this simple, step by step process, you will learn how to give yourself a meaningful, intuitive Tarot or Oracle card reading, regardless of your level of experience. 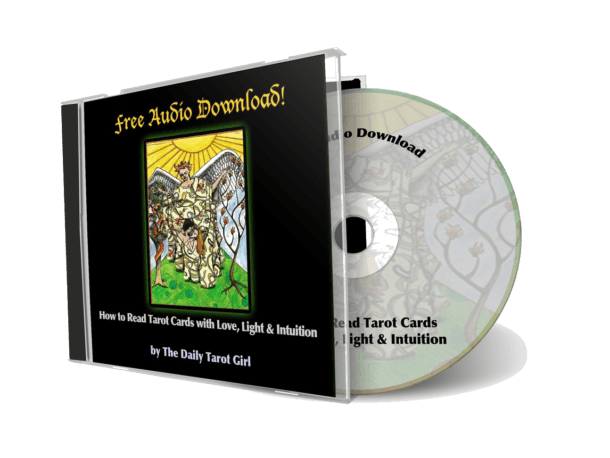 This process helps you tap into your intuition and look at your Tarot cards in a whole new light. If you prefer to listen to me guide you through these steps, just download the recorded version of this Tarot reading process. Before I get into the nitty gritty, I want to clarify that there are two ways to read Tarot cards. The first way is to memorize all the Tarot card meanings that are in your Tarot book. The second way is to use your intuition and psychic abilities to interpret the cards. Most Tarot readers do both – they know and understand the meanings of the Tarot cards, but they also use their intuition to guide them. The method of Tarot reading that I am going to explore here is based primarily on using your intuition. 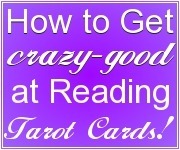 So if you are totally new to Tarot cards, you don’t need to rush off and memorize all the Tarot card meanings. You don’t need to “know” anything to do this exercise! Before you begin this exercise, make sure you are sitting comfortably with your deck of Tarot or Oracle cards in front of you. Have a notebook and pen nearby. When you are relaxed and your mind is quiet, the soft voice of your intuition can be heard. Make yourself comfortable and begin by taking slow, deep breaths in through the nose and out through the nose or mouth. Visualize exhaling everything that’s on your mind – you can come back to your worries later – but for now, let your mind become clear and empty. Relax your body by breathing into any areas of tension or discomfort and exhaling the tension until your body feels warm and calm. Since your deck will have absorbed the energies of your last reading or of the last person who touched it, it is important to clear your deck of any residual energies. The best way to do this, in my opinion, is by shuffling. After you shuffle your deck a few times, hold it in your hands and give it a “light bath” – visualize breathing in a beautiful white light and sending that light down your arms and into your tarot deck so that it is bathed in white light. This not only clears your deck, but it helps you connect more strongly to your Tarot cards. Let your question settle into the deck. Imagine that your question is traveling from your mind, down your arms and into your Tarot cards. Place your Tarot deck on the table in front of you and using your left hand, cut the deck in half and place the top half on the left. You should have two piles of cards now. Choose the card that is on the top of the right pile and turn it over. First Impression – Notice what your first thought, feeling or reaction was when you turned the card over. Often, our first impression is loaded with intuitive insight because our egos/minds haven’t had a chance to jump in yet. Body Messages – Your intuition will often communicate with you through physical feelings, like a tight stomach or tingly feeling in your hands. Notice if you get any physical sensations as you look at your Tarot card. Say the card’s name out loud – doing this can sometimes open pathways in the mind, giving you access to new insights and information. Notice how you feel when you speak the cards name out loud. Color – Notice the colors in your Tarot card. Is there a mix of color, absence of color or mostly one color? If one color is more dominant than the others, what does that color mean to you? Action! 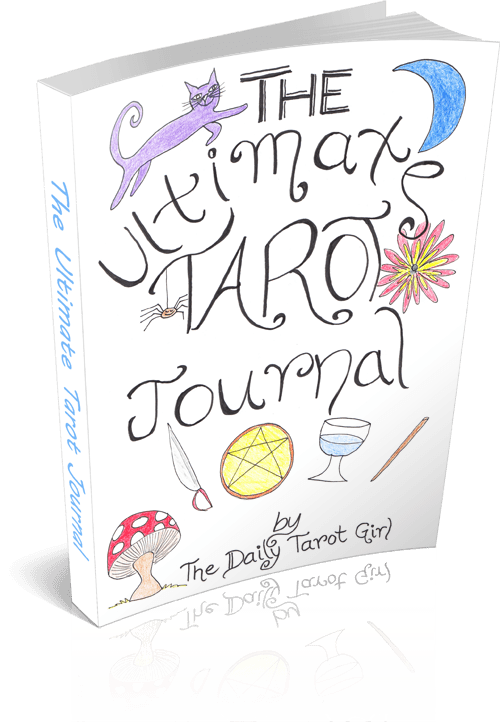 – What is going on in this Tarot card? Are people communicating or struggling? Is there a lot of movement or stillness? This one factor can often indicate the issue you are dealing with and its solutions. Characters – Notice which figures, whether human or animal, are present in your Tarot card. What message does this character(s) bring to you? Imagine yourself stepping into the Tarot card and having a conversation with this character. What would they say? Symbols – What symbols stand out to you? What do those symbols mean to you? Tarot cards communicate to us through symbols and many “hidden meanings” can be discovered when we take the time to meditate on the symbols. Get my free download How to Read Tarot with Love, Light and Intuition to practice these Tarot reading techniques. Not sure what deck to buy? Check out my Recommended decks for beginners. So I bought a deck of cards tarot cards full deck but the difference is you have to color them yourself. Is this a good way to be more intimate with my tarot cards? I ran into this while trying to find ways to get in touch with my cards. I used to be good with tarot but due to VERY necessary meds and some personal issues I have trouble focusing. I’ll be trying some of these techniques. If you can think of anything else it’d mean the world to me. Hi there, I’m still new at using my cards but I did as you said and i asked if me and someone I know would ever have a relationship and the card that turned up was the page of penticales but upside down . What does that mean ? Here’s my two cents – don’t listen to your friend! Some readers don’t like to read for themselves because they feel they cannot be truly objective. This is also why some readers don’t read for family. Personally, I read for myself ALL THE TIME! And I know many readers who do. Some people ONLY read for themselves and don’t ever read for others. So my advice to you is to go ahead and read for yourself – I’ve got lots of resources on this site to help you out and give you some ideas. Don’t worry about being accurate or correct in your readings – just do your readings with a spirit of exploration and getting to know the cards (at first, anyway). I tried your method on giving myself a reading. I got the queen of cups, it was one of the best experiences I’ve had with a one card reading. I’ve been really sick and had to give up my job, my finances are in shambles and my love life is about the same! I am a 60 year old divorced female and a Registered Nurse, I am a Pisces mother and grandmother so I took from my reading everything will be ok and my financial picture won’t be bleak much longer. The queen (I am the queen of my family), my girls often follow my choices, such as career. The queen is relaxing looking into her cup, there is a star, that represents my spiritual nature, her clothes are somewhat “hippie” style and bright colored. That’s my nature as well. She wears her crown and has long blonde hair with a half braid on the side. I see peace in this card and in her. My hands tingled during the entire experience. I’m feeling much more at ease and I feel my circumstances are about to take a turn for the better, possibly better than they’ve ever been! Thank you for your insight! My Blood Pressure has came down to normal! This person is in an unhappy relationship now. I’d like to know how to choose the right Tarrot deck ? Hi! I just bought my first tarot card deck, and was wondering if I’m supposed to apply the chakra cards in it as well? Or just the major and minor arcana cards? Hi, I just bought my first Tarot deck today, didn’t even realize it was tarot (thought it was oracle),but the deck was calling me all day, though I didn’t want to buy it. (It was THIRTY DOLLARS!) I have three oracle decks and always was afraid to try with tarot. It just seems so hard. So in your opinion, is Tarot harder to read than oracle? I’m getting a lot of vibes from it, more so than with my oracle cards, but I don’t know if its from the excitement of having them or some spiritual thing. Congrats on getting your very first Tarot deck! What does the four of Wands mean in a love reading? It could mean stability, marriage, happy home life. I want to learn tarot.. and I m also start studying some famous books for this.. but I found tht some intuitive powers are necessary for become a tarot reader.. but I m not hving such intuitive powers and anything else so I should go for tarot reading learnings… is tarot is for me?? You really do not need to be “psychic” or highly intuitive to be a good Tarot reader, so don’t give up! I think we are all naturally intuitive to some degree and so you can work on this to become more intuitive, but it isn’t a requirement to be a Tarot reader. When I discovered Tarot I used it as a way to strengthen my intuition and explore that side of myself, but you certainly don’t need to already be highly intuitive in order to learn Tarot. Good luck with your studies!!! Thnks a lot for ur rply… so conclusion is … tarot can be learn by anyone .. who really wants to learn … is it???? Which books you are reading for tarot ??? Hey, I am so glad to have found your website, it has been such a great help for me lately. I have just begun to read my cards, however, I have also been confused. In every website, people say that their minor arcana cards consist of Pentacles, Wands, Swords, and Cups. However, in my deck, I happen to have Swords, Cups, Batons, and Coins. I don’t know why it’s different, and it has been throwing me off when I read up on Tarot card readings online. Is there a way I can substitute the Batons and Coins for something else when reading? By the way, I have the Tarot of Marseilles deck if that helps an. Thank you again, and I hope you are able to respond to my question on your own time. Some decks have different names for the four minor arcana suits. Your deck uses Batons instead of Wands and Coins instead of Pentacles. It doesn’t change the meaning of the cards or suits though, it just makes it trickier to learn since most online info is based on the Rider Waite deck with uses pentacles, swords, cups and wands. If it throws you off too much I would suggest getting the Rider Waite deck while you are learning. This is the easiest deck to learn with, in my opinion. I’m very new to this my very first reading I did about a relationship that’s very recently “ended” but neither of us have yet let go. I did a basic 3 card reading and would love your interpretation. I’ve just asked an important question about a job that might come my way – here’s what I got in the 3 cards reading… what you think? Hi I was wondering if you could maybe interpret a reading I did for my husband. It is the Celtic cross spread. It’s weird how cards are like that. I almost thought this was my girlfriend who posted this. We had this exact scenario that you’ve described in this woman’s readings. I’d almost think you were my girlfriend! Her name is Alexis and the exact scenario F8 described is almost what happened! But we didn’t break up in March. I hope everything is turning out for you. Hi! My name is Anton, lives in Sweden and I just bought my first Tarot deck. Your guiding is amazing and way better than the instructions that came with the deck. Only 1 question, I have a hard time understanding the Major and Minor Arcana, when using the cards are they to be devided in different readings or shuffled together? Minor during one reading and Major in another, or just have them in the same pile. Congrats on getting your first Tarot deck! Do not separate the minors and majors – just shuffle them all together. Want to be added to the mailing list forgot to check the box. I love this question and answer thingy you got going on your page. I am new to this I want to use the Tarot Cards as a way to spiritually elevate myself, to move to another level. So I will be asking questions and posting thoughts here. I just wanted to know if I could use you as my mentor as I take this Tarot Journey? Yes, please feel free to use me as your mentor! I welcome you to have fun with the articles, videos and tarot exercises you find here and post as many comments and questions as you like. I would like to know how to use and read a tarrot cards . Any advice on where should I start first? What are the things should have? I have a new deck. But I have no guide book to them. They are different from my other deck. They have the suit of hearts and Prince and princesses in it. Can I used the cups to explain them??? Or were can I find a guide book to them. I’m at a loss. The deck is the enchanted world of Amy Zerner and Monte Farber. You need not worry! Hearts are the same as cups, so any book on Tarot can help you. Many decks will rename the suits but those suit qualities and card meanings stay the same. Same with the court cards. Princesses are Pages and Princes are Knights. The meanings don’t change. I want to learn how to read cards and have a deck I bought a long time ago, via a former employer – Pyramid books and the new age collection, based in Salem MA. My deck is Tarot of the Cat People (1985 copyright). Any advice you can offer for a newbie that cannot yet mediate and trying to become more spiritual after encountering my twin flame? I have this deck – Tarot of the Cat People – it is such a gorgeous and quirky deck, but I find it tricky to read with. It’s very different from all my other decks and I wasn’t able to find the companion book and I hear that you kind of need to read that first in order to read with it. Anyhow, I guess my advice would be to also get a more traditional deck like the rider waite, hanson roberts, robin wood, or morgan-greer deck as these decks will be easier for you to learn with. I do not meditate . I want to but m not able to .. And m very much confused that do I actually feel something around or it’s just because of my depression. What should I do ???? M I made for this or not . Have you tried listening to guided meditation cds? Sometimes those are helpful if you’re having trouble meditating on your own. Question, can tarot reading give answer for becoming pregnancy in future ? 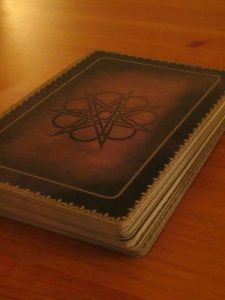 I am pretty new to tarot… My fiance had a deck that he was very passionate…. Private and sensitive about .. He passed on on Oct 26th this year and I would love to learn to read his deck….I have been witness to a few astounding readings by him and I would love to know more… Any knowledge about the type of deck and or how to read them would be greatly appreciated… I have no instructions of any kind just so u know…. I have read a little online but I don’t know the difference between major/minor arcana. ..? Novice hello! I am so sorry to hear your fiance has passed so recently, but I’m happy that you’re wanting to learn to read Tarot with the deck that was obviously very special to him. 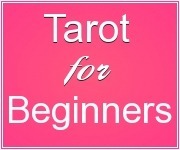 My first recommendation would be to check out my beginners page: https://daily-tarot-girl.com/tarot-for-beginners/ – there’s all kinds of basic info there to help you get started. To explain the majors and minors, think of a regular deck of playing cards, the minor arcana are basically those cards, but with pictures on them – and the suits (clubs, diamonds, hearts and spades) have been renamed wands, pentacles, cups and swords. The Major arcana are 22 extra cards that have been added, which make it a Tarot deck. These cards are considered to carry a little more weight and deal with the important things in life, while the minors have to do more with the everyday, mundane aspects of life. just out of curiousity, do you know what deck you are using? I recently started learning tarot. I never really thought about who I am asking guidance from when I ask my deck a question, but it seems like an important aspect. The cards are just a tool for accessing information, right? When tarot readers ask questions, do you feel they are asking the divine, or their spirit guides and guardian angels, or are they just tapping into their subconscious? Also, would that change if you’re reading from a fairy deck for example. Would you be asking the fairies your question? And finally, if you are reading for someone else, who would you address their questions to? I can’t seem to get a clear answer for this question and maybe it’s because everyone believes something different. This is a fantastic question, Autumn! All readers probably approach this a bit differently. When I do a reading I call on my higher self and my spirit guides to help me get the information and inspiration I need in that moment from the reading. If I’m reading for another person, I ask to connect with their higher self and their spirit guides, as well as asking my own higher self and spirit guides for assistance. You could simply just direct your questions to “the universe” or the Divine – whatever language makes the most sense to you. where is the best place to buy tarot cards from? I like Amazon.com or you could check your local bookstore or metaphysical shop. Congrats on your new deck, McKenzie! Don’t let your grandma put you off! Why do tarot cards have a difinative meaning and a reveresed? What do each represent? Is the reversed just the opposite of the difinative? Personally, I wouldn’t want to read with an incomplete deck. Get a new deck and save this one for practicing learning the meanings or something. You could get a new deck…or ask yourself what the 5 of swords means to you. Is there are reason it’s “missing”? Is your life totally devoid of 5 of swords type energy, therefore, this card isn’t needed in your deck? Or is the 5 of swords energy something you are afraid of try to avoid? Perhaps your deck is trying to bring your attention to the 5 of swords by it’s absence! I want to get tarot cards and start learning to read therm but my parents are very christian and I’m afraid if they caught me buying them they’d accuse me of witchcraft and I’d get in trouble for doing devil worship. I can’t think of a good cover for why I’m get them that would calm their suspicions either, any ideas? In reality, tarot cards weren’t never made for witch craft.. They were invited by a man who wanted to give a gift for his daughter & he was the first one who came up with the Major Arcanas paintings.. He hired a painter @ she painted all the drawing . Each painting had a meaning to him. You should look it up. tarot cards are not witchcraft it is Devine and you not need to practice devil worship you need to worship God.you need to explain your parents it’s Devine not devil and it is to help people and show them the way out to their problems. Witchcraft and devil worship have absolutely nothing to do with each other and also you don’t need to be a witch to use tarot cards. They are simply a tool we have to help us through life. So you can explain that to them. Hi ive wanted a tarot deck for about ten years and a few years ago i spied a faerie deck in one of my favourite crystal shops. I went in there today and the deck i wanted was gone but i did see another faerie one and brought it. (I am very passionate about faeries) the one i got is mystic faerie tarot by Linda Ravenscroft. Im just not sure on the spread and how to read it, i should use. There was one spread a friend of mine used on me and i really liked it but i cant really remember and google isnt provoking any memories. Barnes and noble or the library or descripe it like 3 in center 2 on top 1 crossed over 4 around and 4 on the side is Celtic cross it is my favorite or find what works for you. I have always had a deep interest in learning more about the Tarot. My parents were very strict religiously. Although, I did learn what I could about other paths in my youth. I am a man of inquisition, and simply reading only one point of view has never abided well with me. Honestly, I follow a Heathen path now, and use the Runes almost exclusively. 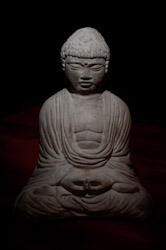 I have researched many world religions before deciding to take up my ancestral faith. I have had a few readings in the past, and they appeared to be very accurate. I am considering acquiring a set. However, I am not sure how I should go about choosing a one. In the past I have handcrafted all of my rune sets. Good luck and have fun choosing your Tarot deck! Hey I’m so happy I found this website , I always have doubts in whatever I do I feel like tarot cards would give me some guidance , I recently wrote my college exam (very important one) , I just can’t stop thinking about it, I really want to ask tarot cards about my results ? Sure, it’s okay to make your own cards by printing off the internet, but buying a Tarot deck is probably a better option. They aren’t that expensive and it just seems like a ton of work and bother to print off your own and it won’t be very durable. As for printing your own cards, there is no need. Many used book sotres sell tarot cards, and you can always try amazon. I find it is much more natural to connect with a real set of cards. Hope this helped! Here is my advice on getting started with learning Tarot: https://daily-tarot-girl.com/2014/02/24/tarot-beginner-start/ – this article and video has all my deck and book recommendations. Hi Kate, can we read tarot cards while we are pregnant?? Does negative energy affect the baby?? Yes, you can read Tarot when pregnant. I am not entirely sure what you mean by “negative energy” in relation to Tarot? Tarot cards don’t have negative energy, but if you do a reading for yourself and you don’t like the cards that came up and you get all stressed out about it, then I suppose that will be creating negative energy! So if you feel you are in a sensitive place, it’s best not to read Tarot – wait until you are feeling less emotionally reactive (but I say this to everyone regardless of whether or not they are pregnant). I hope that helps! So two or so years ago I did some research for a short story that I was writing, the main character was a witch, but while doing my research I came across a few websites about tarot cards and I looked a little further into them because I was interested. After the unfortunate abandonment of said short story (alas it was the result of a 14 year olds imagination – how good could it really be?) I forgot all about tarot cards. Yesterday, however at the mention of tarot cards in the film I was watching, I felt this urge to learn more about them. I ignored this urge for the rest of yesterday and the majority of today, but this afternoon I decided to pick up and write an idea similar to the one I tried to write at 14. This lead me to looking at the meanings of various tarot cards that could perhaps represent or be meaningful to my character. I felt totally intrigued by the concept of tarot cards and reading them. 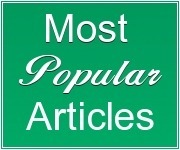 This feeling obviously lead me here and to numerous other websites on tarot cards/tarot readings. I’ve also come across a website that ships tarot cards to Australia, and have had the browser open for quite some time. Now as a 17 year old, I’m in my last few years of High School and currently I’m going through quite a strenuous time – what with coming to terms with adulthood in two years time, the usual conflict with parents, facing reality, etc., etc. – and I am not sure if this interest in tarot cards has been prompted by a need inside of me to find some sort of clarity in such a messy time, or just me seeing something new that looks cool and liking the ‘idea’ of it. I understand that you may not be the single best person to offload my adolescent problems to, but, in your experience is there a difference between genuinely being drawn to tarot cards/readings and the spirituality that goes along with that, and liking the concept of tarot reading. Because I know for sure that I am very skeptical in terms of spirituality and how to connect with that inside yourself – it’s just a matter of whether I have a sense of commitment that I need. Let me just clarify what you’re asking me: is there a difference between being drawn to the tarot (in a kind of mystical way) or just merely being interested in the Tarot? I’m not sure as there is much of a difference and I don’t think it really matters. Being intellectually interested in something and being spiritually drawn to something are just two sides of the same coin, so don’t overthink it! I think you’re saying that your more of a rational minded/intellectual person and you don’t really resonate with the touchy feely woo-woo aspect of spirituality – that’s okay, you don’t need all that to learn Tarot anyway. When I first began Tarot I wasn’t really into spiritual things at all, but my practice with Tarot definitely brought me there, although that isn’t everyone’s experience. Hope that makes sense! I used to read, then went blind. For some reason, the cards are calling me back to them. This will be an interesting experiment. I will probably mark the cards with braille, although I don’t wish to offend the cards, nor cause them pain (yes, I know that sounds a bit looney). I wonder if I will miss being able to see the colors and images on the cards; I can remember exactly how many of them appear, but there are gaps. Advice? Oh, and thanks very much for this lovely, informative site. Blessed be. I am not sure as I have any advice for you, only that you will just need to rely more heavily on memory as you won’t have the immediate visual cues while reading, but in a way this could force you to be more intuitive. I think understanding the essence of a card is important and the essence or vibe of a card can be felt without visual cues. You may find this article and video helpful: https://daily-tarot-girl.com/learn-tarot/7-tarot-tips-learning-tarot-card-meanings/ – focus on steps 3, 4 and 6 – that is focus on understanding the suit qualities and numerical qualities and making a personal connection to the cards – all those things will help you remember that cards faster and it won’t matter if you can’t actually see the cards. Hi! Im a beginner to tarot cards. I have always been interested but today at a second hand store i came across a set. I felt that i had to have them. I would like to know any recommendations on cleansing? Thanks! Good luck with your cards and happy Tarot reading! Hi Kate, I have recently begun reading tarot cards. I used to read years ago. I stopped because my partner did not feel comfortable with it. About two months ago I was sleeping and I had like a calling, as if tarot was calling me back. I woke up and knew I wanted to start reading again. To my surprise, not long after that a friend of mine gifted me with a new deck of her own will. I am a bit rusty now being that I haven’t read in about 4 years. Your advice is amazing, do you have any more places where you give more advice or do you have any forums or anything where I can get my feet back wet again, as far as tarot. Thanks a lot. Hi, Kate! I’m a newbie who’s interested in tarot reading but I have not gotten a deck yet. I heard that you should see the deck physically when buying one to see if it calls to you. Do you recommend any decks for beginners? Or maybe even a store where I could physically buy one? Thank you so much! This was very helpful. It is nicest if you can go to a store and actually hold the decks and go though them, but if there aren’t any stores like that in your area then just order from amazon. I rarely see a deck in the flesh before I buy it because I buy mostly through amazon, but there have been plenty of decks that i’ve ordered and then felt kind of disappointed in once I got it, so its ideal if you can see the deck first. Wow – that sounds intense, Laura! I don’t know what that could be. I have gotten tingly hands before when doing readings, but I don’t think I’ve ever had a blinding white flash before. Did it happen again for you or just once? I have been interested in Wiccan traditions and practices as well as tarot cards for years and I finally bought my first deck, so I am a beginner. I own The Rider Tarot Deck and I have done a few readings thanks to your website. I Googled how to read tarot cards and your website popped up and was by far the most helpful and informative. Following your guide, I have done two readings for others and five for myself. All seven of them have been spot on!! I hope to one day make a successful career of this. Thanks again! Sounds like you’re a natural at Tarot reading – way to go! Cheers for sharing your calm energy and tips in regards to breathing and relaxing body and mind,,,, yup I left my troubled minds back at the Rubbish bin … going well are we. Buying my fret out fit do. Just used this for my first tarot reading, thanks for the guide! Hi Kate, I just found your site and have been digging around in it for a couple of hours and wow! Just so user friendly and helpful! I have a beginner question. In this step by step guide, you only described pulling one card for the reading. Is that how it is done typically or is there a specific number of cards one should use per reading? Hi Aundria and welcome to my site! You can do this process for each card in the spread, spending a little more time on the cards that jump out at you or feel strongest for you. This is actually my first article on reading about tarot cards and it was so helpful. I already feel a lot more confident about reading them. I do have one question though. When doing a reading on another person and I tell them to think of a question would it be better for them to keep it to themselves or if they told me? Great question! I would have the person tell me their question so I could focus their reading on that. Otherwise, they could keep it to themselves but then the reading will be more vague, which isn’t necessarily a bad thing, but I prefer to know exactly why someone’s coming for a reading and what they want to get out of it. I would like to ask you about the direction of the cards, I heard they can be straight or upside down with different meanings each ? Is that right? i loved your way of readin tarot cards. i believe in intution and i beleive in signs and signals from higher soul. recently i have got a deck of tarot cads gift from my brother, he alwys knew that i wanted tart cards but he didnt knew which one to buy so he bought me true love tarot cards by amy zerner and monte farber. i asked few questions regarding my relationship. My first question was tell me what I need to know about my marriage with kushant, will I get married to him?? And second question was tell me wat I need to knw will kushant parents agree for our relationship and get us married to each other and accept me as kushants wife n their daughter in law?? i am very new to tarot cards reading. some what i understood wat was written in guide book about cards but i have understood the ans my higher souls wants to give me. can you pls help me with this? plz reply me by mail..
Hi Kate! I love your site. Thank you for inspiring us. I’m new to Tarot, and I’ve purchased the Rider-Waite deck and also the separate book that supposedly explains how to read the cards. I feel a little apprehensive with their interpretations. I’m wondering if you can recommend any reference books or websites? Also as me being completely new to this, but very open-minded and very intuitive, some initial tips to reading. Thank you! Do I have to order my cards (like coins-cups-wands-swords-major arcana) after every reading? hey I just love ur tarot reading method .. I will buy tarot cards soon! pls suggest me from where I should buy original cards ? Thank u ! hv a wonderful day. I was in a bookstore and was drawn to a deck of tarot cards and bought them. I have never had a deck and know nothing about tarot. Could you please point me in the right direction to begin to learn? It would be greatly appreciated. Thank you lots. Also, your local bookstore might have a few decks, but the selection won’t be as good. Hi Emma – glad you liked the articles I sent you 🙂 I hope you have fun with them when your cards arrive! Hi Kate! I have been experimenting with creating my own spreads, where I’ll just shuffle the cards and ask a question and lay a card, assigning that question’s response to that card. It sort of turns into a conversation of sorts, and I keep going for a few questions until I feel like I have a nice informative layout. Do you think this is a valid way to read cards.. Or is it better to stick with traditional spreads? So, to me, reading this way is fun and more direct in a way, and I’m really trusting my intuition to interpret the cards for myself. Dear Kate, I just love the way you do your tarot and oracle card readings. I have the Tao Oracle Deck and I’m learning from you by watching your vids on YouTube. I’m doing very well with them. I also want to ask you kate, do you ever mix up your tarot cards where some of them are upside down, and do the readings for the reverse part of the cards? I haven’t notiiced any upside down cards when you do the readings on YouTube for the tarot readings. You have inspired me to go further in the spiritual way of life Kate and I thank you for that. Have a very beautiful day. I find that reversals kind of complicate things and its a bit un-necessary, but some people like reading with them. I just want to thank you for your beautiful site and its many wonders. Being recently interested in tarot, I have been seeking much information on it. I have heard many ‘bad things’ on tarot and how it can bring bad luck or corrupt a soul. Hence, you can imagine how taboo tarot is as a subject matter till recent times, where my interests towards it ignites. I would like to seek your advice on how to perhaps overcome this ‘fear’ of tarot, and embark on this journey with an open mind and none of the preconceived doubts. Thank you for the written version of your guide, Kate! I really enjoy listening to your guides, but it is always a joy to be able to read them too. I sometimes forget to check all of the aspects in the cards, like action, color etc., this guide is going to help me a lot with that, like a check-list. And I’ll definitely listen to my body more to catch reactions, I found this tip really inspirational, since I haven’t paid much attention to that aspect before. And saying the card’s name out loud? I believe it will open a whole new world! You are very welcome, Deniz! Let me know how it goes with trying those new techniques and if you have a favorite one.